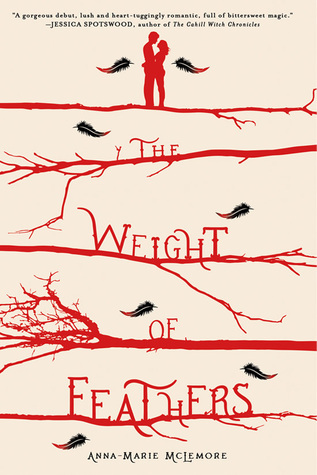 Sweet Sixteener Ashley Herring Blake recently spoke to Fearless Fifteener Anne-Marie McLemore about her debut YA magical realism novel, THE WEIGHT OF FEATHERS (September 15, 2015 from Thomas Dunne Books/St. Martin’s Press). Anna-Marie McLemore writes from her Mexican-American heritage and the love for stories she learned from her family. Her work has been featured by The Portland Review, Camera Obscura, and the Huntington-USC Institute on California and the West. Among her favorite things are fall leaves, Irish dancing, and lesser-known fairy tales. Find Anna-Marie on: Website, Twitter, Facebook, and Goodreads. THE WEIGHT OF FEATHERS is available for purchase from Amazon, Powell’s, Books-A-Million, Barnes & Noble, and Indiebound. Ashley: First and foremost, Anna-Marie, I absolutely loved this book. Lush prose, complex family histories and rivalries, a soul-healing romance—it is such a breathtaking story. The pitch for this book is Night Circus meets Romeo & Juliet, which I think is a perfect description. What inspired you to write about two teens from show families whose relationship is complicated by a decades-old rivalry? Anna-Marie: Thank you so much, Ashley! The story started with the idea of these two different shows—mermaid performers, and winged tree climbers who are half-dancer, half-tightrope walker. Those two shows could be allies, but they could just as easily be enemies. And I loved exploring that in a setting that had the clarity of sky versus water. One family versus another, when both are more alike than they’d ever admit. A boy who’s wary of water, and a girl who fears heights as much as she loves rivers. Ashley: This book is rich with cultural description and language, old proverbs and superstitious beliefs. What tools or experiences did you rely on to draw Cluck and Lace’s characters, families and histories? Anna-Marie: A lot of Lace’s world, and the world of the Palomas, draws on my own heritage or is inspired by it. For Cluck and the Corbeaus, I researched Romani and French traditions. Though the mythology of these two families is largely fictional, I wanted to do everything I could go make sure they didn’t conflict with these characters’ backgrounds. Even if you’re creating an imagined world, if your story draws on or touches another culture, there’s a tremendous responsibility to make sure that what you draw on is authentic, and what you make up is respectful. Ashley: I love the seamless way you weave magic into this modern-day tale. Can you tell us a little bit about how you decided to include magical realism and its importance in telling Lace and Cluck’s story? Anna-Marie: Maybe because of my heritage, magical realism is a very natural landscape to me. Its heart is the intermixing of the ordinary and the ethereal, and I fell into that easily both because it felt right for the story and because it’s where I come from. The origins of magical realism hold close the idea of culture and community. It’s a worldview that felt true to who I am and where this story lives. Ashley: Your writing is very visually stimulating and poetic. Did The Weight of Feathers demand this lush language or did the world you created organically arise out of a natural proclivity to that kind of writing? Anna-Marie: Thanks so much, Ashley! I started out as more of a poet than a fiction writer, and though I don’t write as much poetry now, I’ve never lost that love for it, and I still read a lot of it. Poetry really gives you that sense of how language shapes content and world, and it makes you more aware of it in other forms. It’s part of what I love about reading across a wide variety of genres, getting to see the connection between what an author writes and how they write it. Ashley: When and how did you know you wanted to be a writer? Can you tell us a little bit about your path to publication? Anna-Marie: I don’t think I’d be a writer if it weren’t for people who believed there was a place for stories like mine. The teachers who wore me down until I showed them my work. A few family members who thought this was what I should be doing before I did. And I’m so grateful to have an agent who embraces the diversity in my work, and an editor and a house that do the same. As much as writers need to stand strong in their own voices, diverse writers especially need to know there’s space for them. I hope to help give the same kind of encouragement I was fortunate enough to receive. Planner, pantser, or a little bit of both? Planner, but the plan often goes out the window about halfway through. Do you listen to music when you write? If so, what’s a favorite song while writing THE WEIGHT OF FEATHERS? “These Are The Fables” by The New Pornographers (Lace) and “Living in Twilight” by the Weepies (Cluck). Favorite writing snack? Frozen fruit bars. My favorite kind has a bunch of flavors layered in a rainbow. Words of advice for your seventeen-year old self? Come out of the closet already. Your favorite color can still be pink. You can still love glitter. No one will take away your apron collection. It’s hard. Believe me, I’ve been there. Here, have a rainbow fruit bar. If your family were a show family, would you rather swim the rivers like the Palomas or fly through the trees like the Corbeaus? I would love to learn to fly through the trees, but I’d probably take more easily to swimming the rivers. I love being in water! 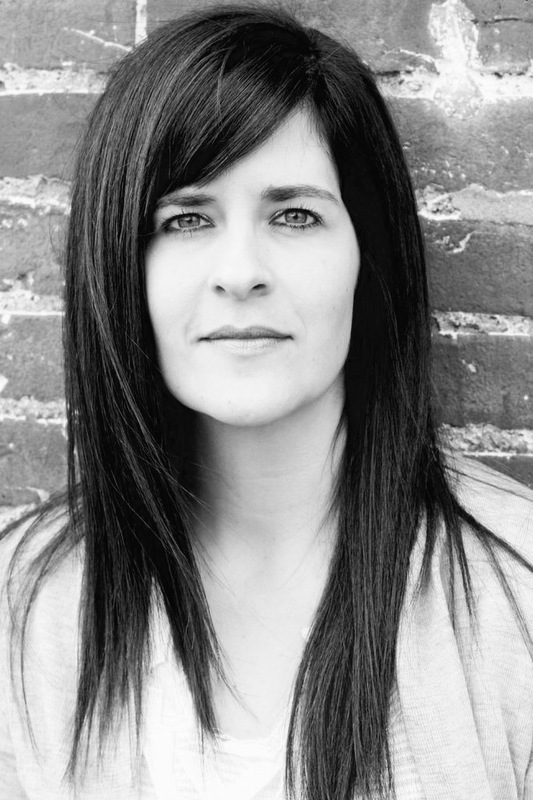 Ashley Herring Blake is a former singer-songwriter and teacher turned YA writer. She has a Master’s degree in teaching and lives in Nashville, TN with her husband and two sons. When she’s not writing, she can be found under a pile a books listening to gloomy music. In her YA debut, SUFFER LOVE (Houghton Mifflin Harcourt), two teens attempt to wade through an intense relationship complicated by their parents’ infidelities. Find Ashley on: Website, Twitter, Facebook, or Goodreads.